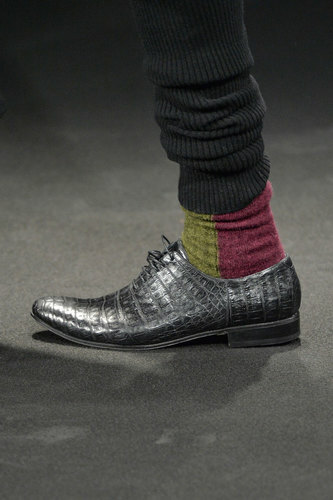 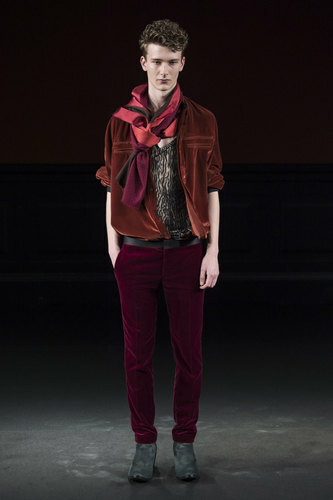 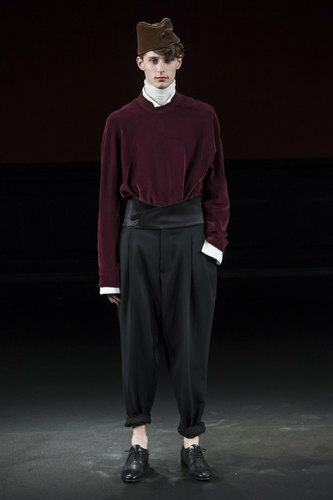 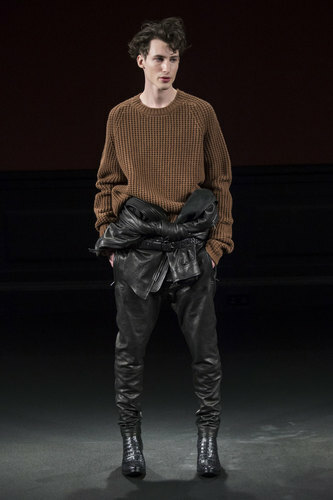 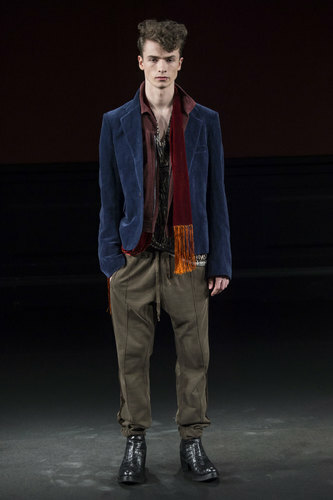 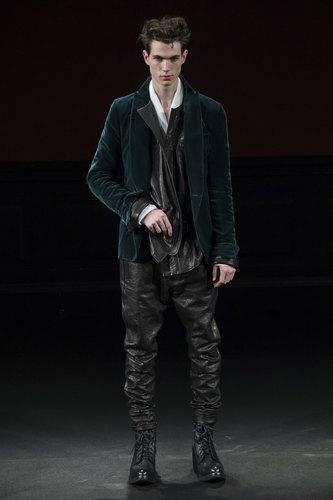 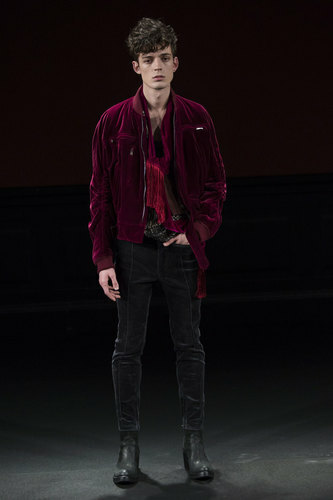 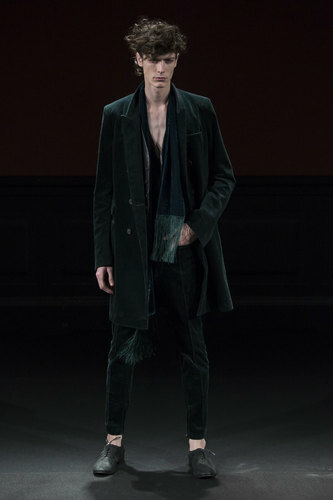 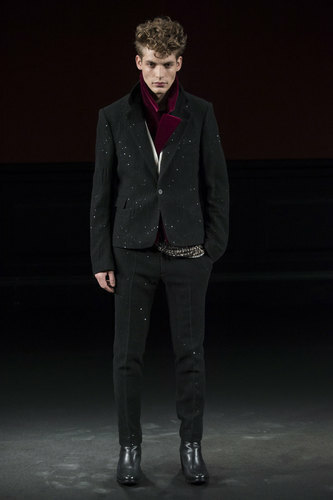 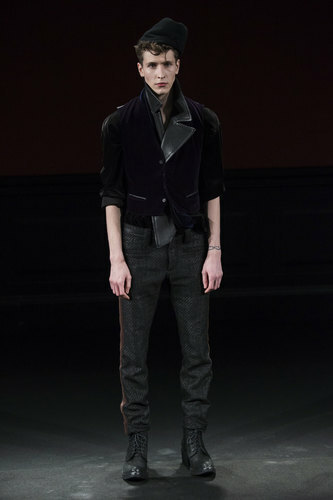 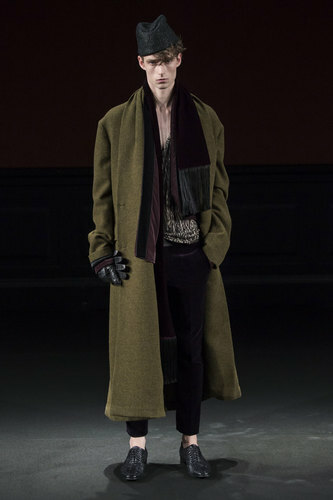 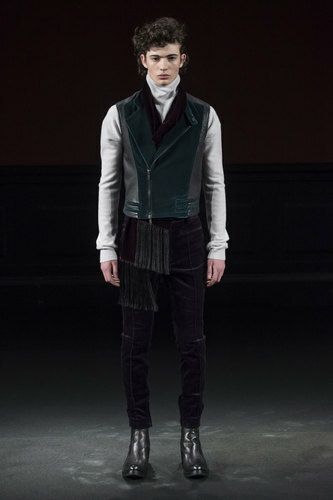 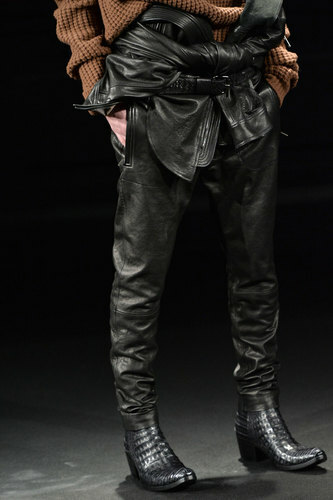 Haider Ackermann Man Autumn-Winter 2015-16 – Opting for a more theatrical and gothic theme; Haider Ackermann stormed through the dark gates of the runway to display a haunting range of velvet and brushed fabric. 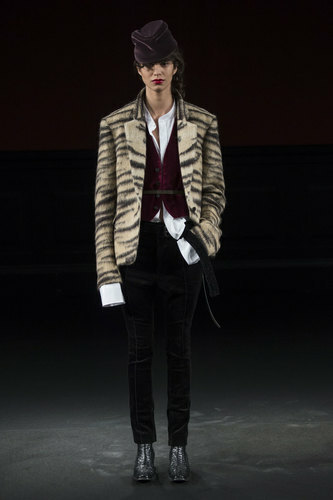 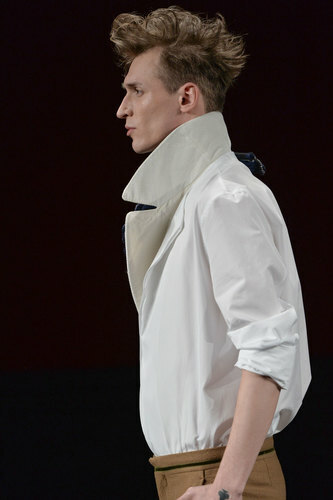 There is a slight resemblance to military and the Edwardian era; the high collars elongate the neck to appear taller and the layering of shirts and cropped jackets add to this effect. 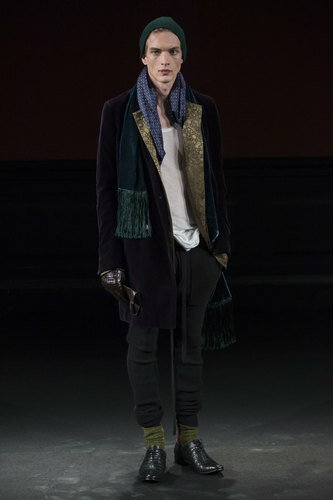 The dark teal and purple colours not only compliment each other but balance out the rest of the outfit. 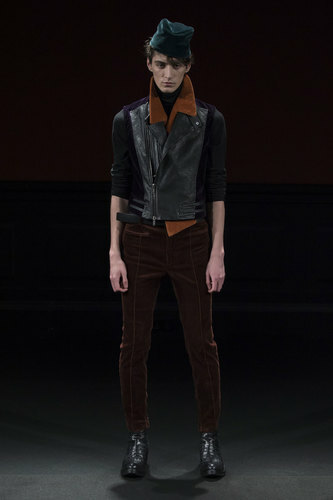 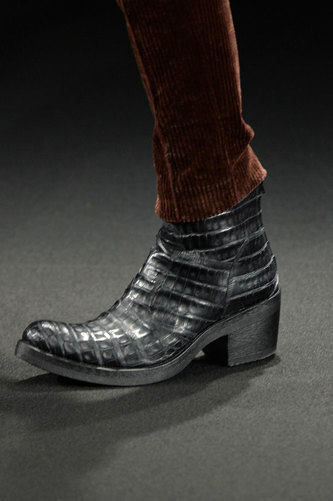 The blend of leather and velvet adds depth and shape to an already deep hue. 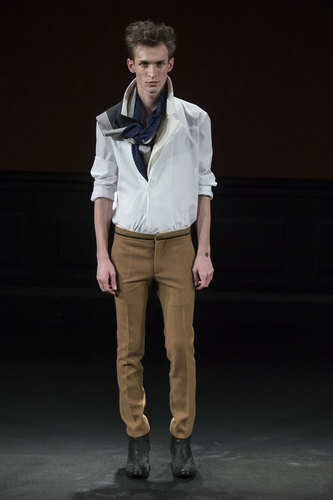 Well-fitted trousers create the classy man, whilst the added touch of scarves and lightly placed hats make the outfit creative and easy to wear. 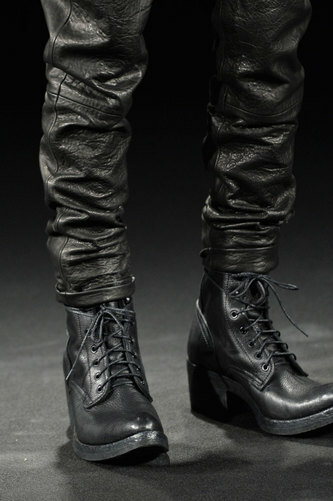 In terms of footwear, the simple yet authentic brogue works perfectly with the smart dress trousers whilst the ankle boots bode well with the over-sized leather trousers for a more daring, biker look.